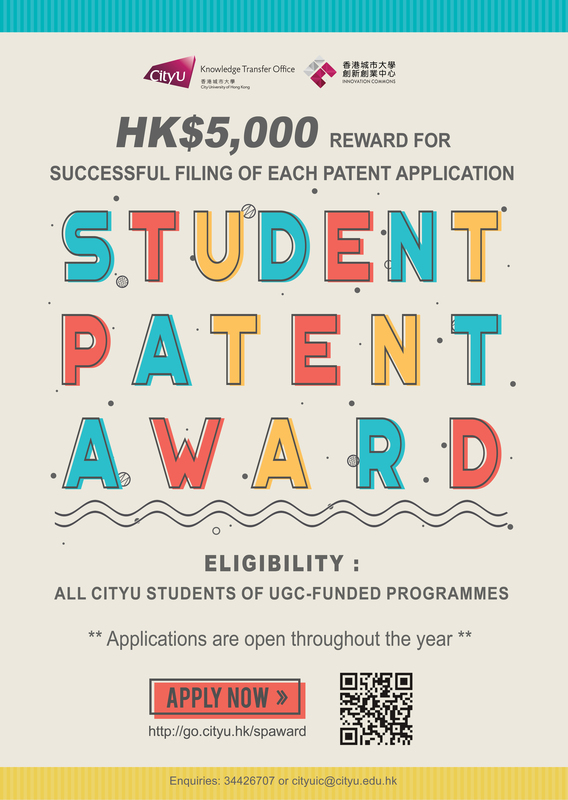 All CityU students of UGC-funded programmes are eligible to get an award of up to HK$5,000 for filing a patent. Applications are open throughout the year. ACT NOW!